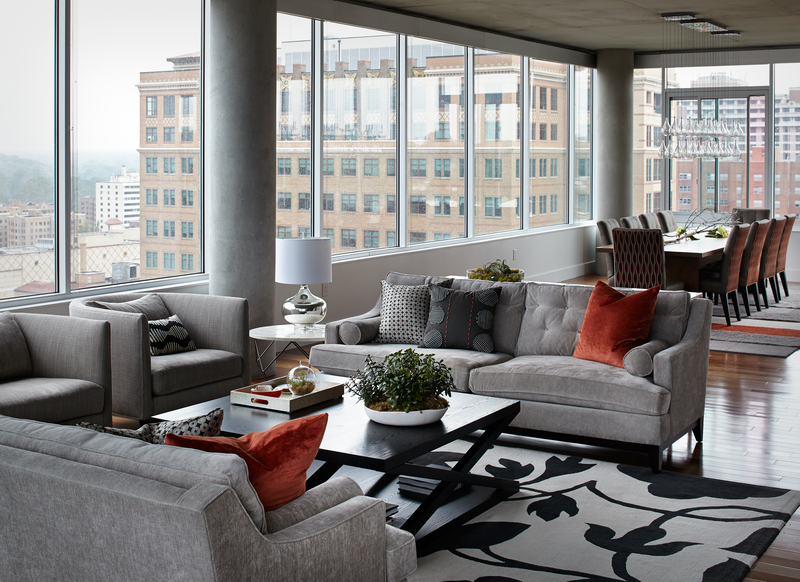 Sitting above the Country Club Plaza, this new building, constructed of concrete and glass, is all about the view. 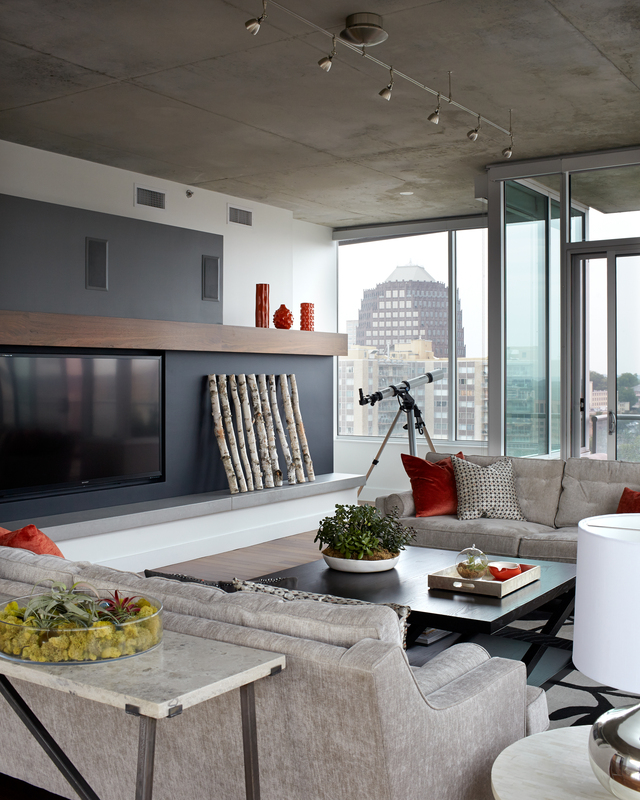 The new kitchen, living room, fireplace, and TV wall were designed with entertaining in mind. 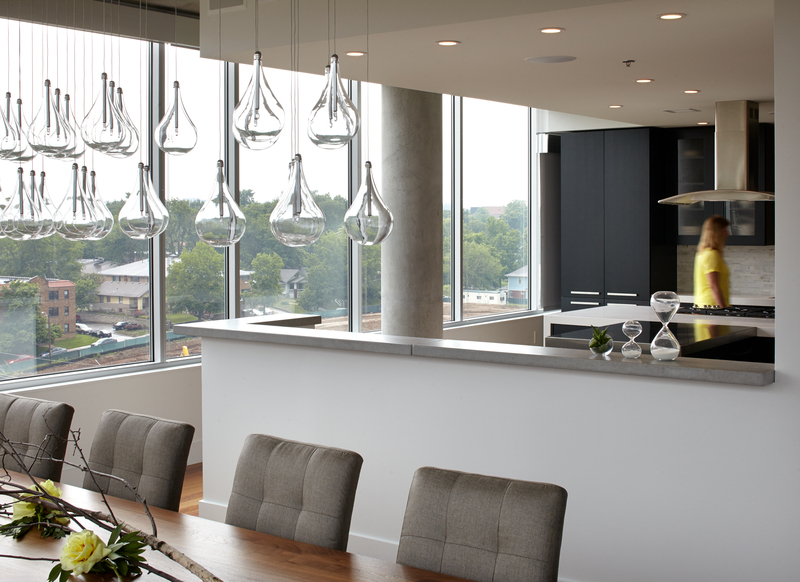 New furnishings were laid out to maximize views while also allowing for intimate gatherings. 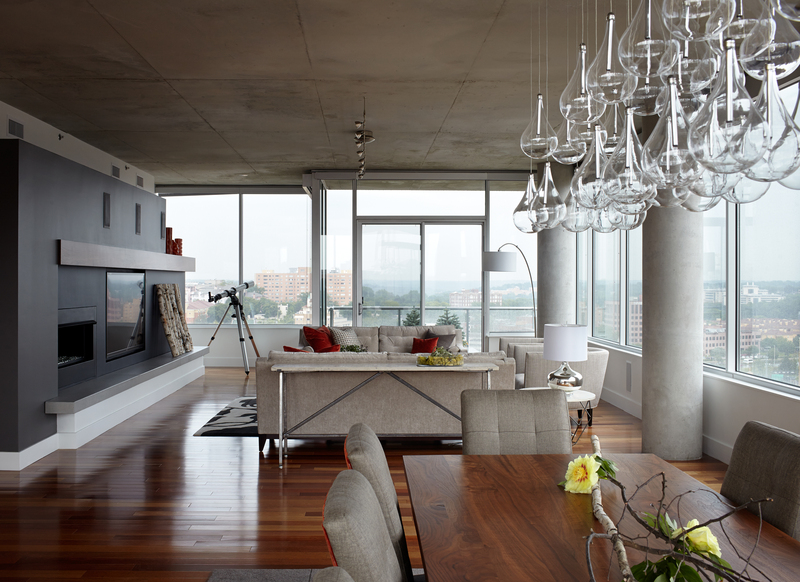 The custom-designed dining table and coffee table make for a great gathering place. What a perfect vantage point for taking in the Plaza lights!